One thing that always amazes me with some of the Yoruba political intelligentsia is the tendency to mix up political and social history with lies and arrogance. In Mr. Kusa's case, his claims are not only mixed with lies and arrogance but also self-confusion. The Lagos cross carpeting saga he referred to in which he claims the Great Dr. Nnamdi Azikiwe tried to become Premier of the Western Region took place in 1951. Had Mr. Kusa sat down and did his research, he would have found out that there was no 'Premier' position in Nigeria at the time. The premier position was created in 1954 under the Lyttelton Constitution. Mr. Kusa should tell us if he meant Zik tried to become the Oba of Yorubaland, and then when he confirms it, we should try and get him a deal to write his own comic book. Like Mr. John Olufemi Kusa, Zik was a non-native Lagosian. He was popular among the natives of Lagos, as well as the Yorubas, and other non-natives resident in Lagos. Zik even got the political endorsement of the Oba of Lagos at the time. He was loved. This wasn't "Yoruba generosity" but the fondness of a charismatic Nigerian. Zik set out to make it to the central legislature through Lagos, his home, where he could bring down the much loathed McPherson Constitution, a constitution he saw as one of the colonial subjugation and gave no autonomy to Nigerians or their regions. And please, do tell us the name of the Igbo man Zik tried to install as a premier in the East while he became one in the West, never mind the fact that the premier position didn't exist then. Poor. Mr. Kusa please dust off your history books. It is also important to note that it was not only Zik's godly charisma that won him a seat as a Lagos representative in the Western House of Assembly it was also due to the hatred expressed by the Yoruba against Lagos natives and Ijebu people. If you looked into the history of Zik's NNDP and into his days as the leader of NCNC you would know that most of the Yoruba-speaking people that supported him were Ijebu, who claimed extreme discrimination by the Yoruba. Ironically, Awolowo was Ijebu. See how God works? The ones you hate end up becoming the ones who save you or the ones you love. Your hatred for the Igbo will only backfire. You claim to know about Herbert Macaulay, who you call a Yoruba but he was actually a Nupe man by origin, but described him as "The Yoruba leader of the 1950s". Poor. Are you not aware that Macaulay died in 1946? Then you go ahead to say Yoruba NCNC leadership called "him and the Igbo" back home from Ghana to leader the NCNC. Poor. Zik left Ghana in 1937, he co-founded NCNC with Macaulay in 1944, and Azikiwe became NCNC leader when Macaulay died in 1946. So, who is this Zik that came back from Ghana in the 1950s that both Yoruba leaders and a dead Herbert Macaulay that let Zik hold their hand in Ogbono soup? Mr. Kusa, please dust off your books. And this whole "Biafran soldiers tried to invade the West" thing, please stop. The Biafrans never overran the Midwest (What you call Bendel but was not even created then) and the Yorubas never "dealt with" the Biafrans at Ore. Keep dreaming. The Nigerian civil war was a war between the North and the South. There was an agreement that each region in the South would declare their own sovereign republic and unite militarily to drive out the North from its territories. All regions complied but the Western Region which backed out at the last minute. The Eastern Region declared Biafra, the Midwestern Region declared Republic of Benin, and Victor Banjo, a Yoruba headed to Western Region to declare Oduduwa but stopped at Ore, after he said he was not given approval from the leaders of that region. He then turned back. There was no fight or "dealt with" at Ore. Keep dreaming. You mentioned abandoned property. Let me remind you, Akwa Ibom and Cross Rivers was not a part of it. It took place in Rivers State. And let me remind you that Yorubas were also affected. Go read Adekunle's memoir. Yes properties were seized in the North but returned unlike by the Yoruba who not only tried to enact a starvation policy on us to wipe us out but also seized all of our money and property in the West, and also had major companies in the East transferred to the West and indigenized them. Hope you don't think we forgot the indigenization policy? You, "our best friends", actually did the worse to us. The non-native Lagosians of Yoruba extraction also tried to stop Igbos from returning to Lagos after the war. Had Gowon not been in charge, this your "generosity" would not have been given. We were welcomed back to our Nigerian home in the West by the Nigerian Government, not the Yoruba. Let me cut to the chase. The Igbo have a right to vote in any part of the country, be it Lagos, Ibadan, or Ile-Ife. If you don't like it, then I wish you the best of luck with your secession journey. But let me warn you do not use the Igbo as a smokescreen to continue to subject and oppress Lagos natives. Atiku Abubakar is not Igbo neither is Jimmy Agbaje so your claim of anger because "Igbos want to dominate our land" is nonsense. The real deal is that there is a grand design to keep Lagos natives –the Aworis, the Ogu (called Egun by the Yoruba), and Epe - out of power. This plan is being executed ONLY by the foreign Yorubas, not the Igbos. The foreign Yorubas, like you Mr. Kusa, are scared that the Igbo will get Agbaje, an Awori, elected and the native will start sending your like packing back to Ogun state, Oyo, Osun, etc. and rightfully reclaim their land. You and I, as well as everyone knows the Igbo have no ethnic agenda in Lagos. You are only out to deceive the native with some "Yorubaland" nonsense when actually you are an oppressor of the Awori, Epe, and Ogu people in their own land. 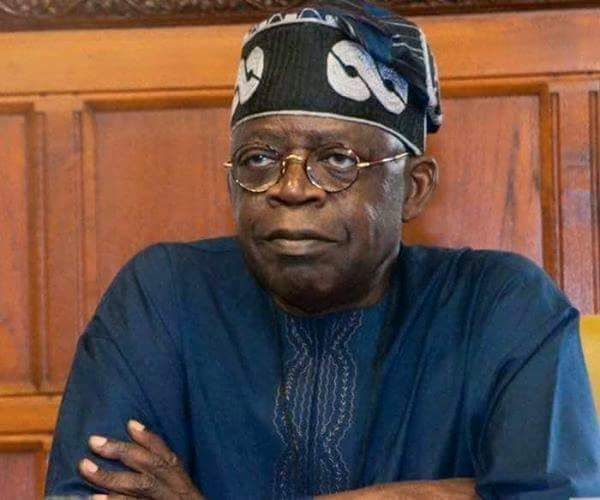 Tinubu is from Osun, Fashola is from Ekiti, Ambode is from Ondo, and Tinubu's new servant, Sanwo-Olu, is from Ogun State. Is this not shameless of you people, you oppressors? Is this not why the natives after decades of complaining about dominance by foreign Yorubas went to the Sovereign National Conference and agitated for 'Ose State'? Is it fair that Tinubu is preparing to install his son as Lagos governor after Sanwo-Olu? Are the Igbos the dominators or are you and Tinubus like? When it comes to oppression, leave the Igbo out of it. The Igbo want a good and prosperous Lagos just like other "foreigners" like Mr.Kusa. That you want to oppress the natives doesn't mean we have to follow you. All Nigerians have a right to comfort. Hate the natives if you want but we won't. By the way, Sanwo-Olu is not "mainstream Yoruba", Agbaje is. Afenifere is a Pan-Yoruba organization not a clan supremacist group as Tinubu and his area boys who snatched boxes and burned ballots. Stop the hate and don't start something you won't be able to contain once the line is drawn. Brilliant. The light must shine to dispel darkness and ignorant street talks parading usually from narrow mindset.